Do your own thing with our beautiful outside venue. Why not call us to discuss the ideas you have for your unique wedding. With no buildings to clutter up your perfect pictures, you and your photographer can find the perfect backdrop for your wedding photographs. 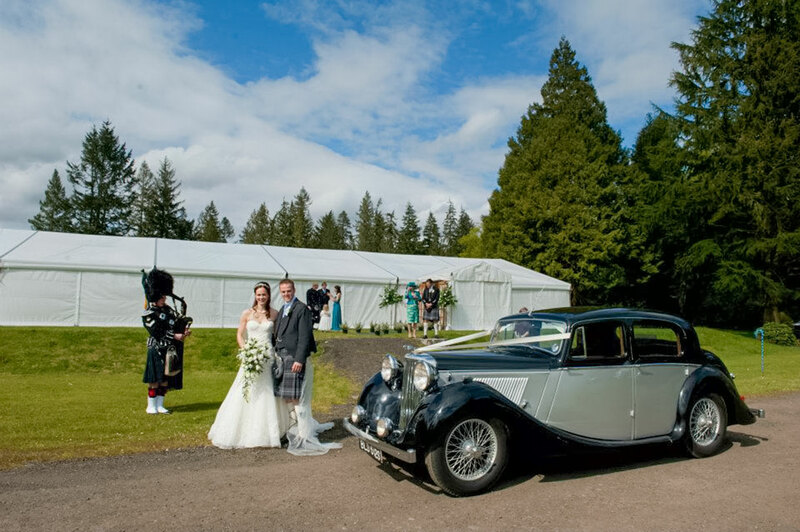 Your wedding, your way from a traditional marquee to a hipster wedding with teepees and all in a Central Scotland location with easy access from Glasgow and Edinburgh. 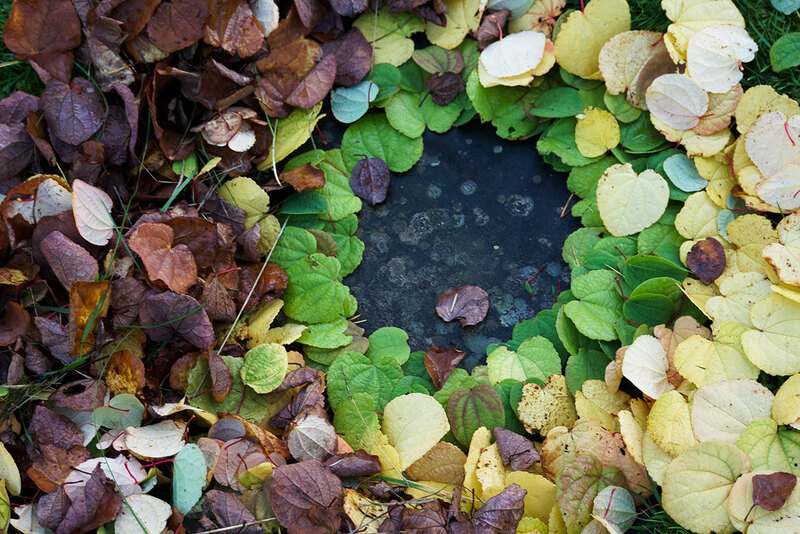 You have the peace to make as much or as little noise as you want. With such a private venue you really can do whatever you like. This unique “Wilderness Venue” at Lanrick is the perfect place for your wedding. 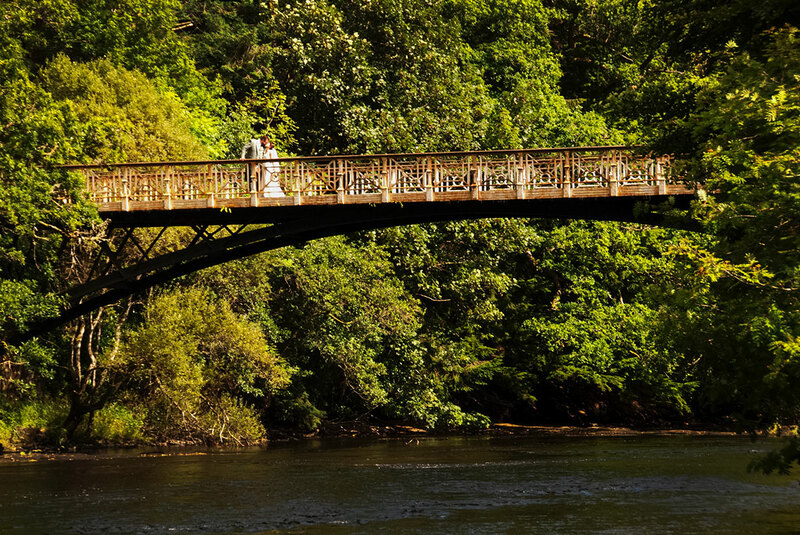 Whether large or small this enchanting spot ,set on the banks of the River Teith, and in the heart of Lanrick Estate, surrounded by mature woodland planted over 200 years ago, cannot fail to create the “Romantic Magic” of your special wedding day. This location would be yours for the days you choose. You may arrange the entire day or we are here to lend a hand when needed. Prices for our outside venue can be viewed here. Cold running water from the mains. Electricity supply 8kw suitable for everything except electric ovens. 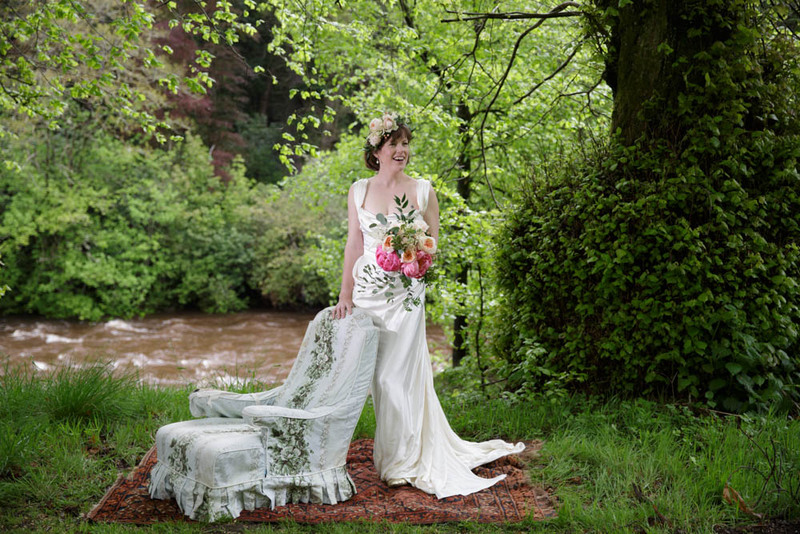 Secluded woodland wedding area away from marquee set among trees overlooking the river. 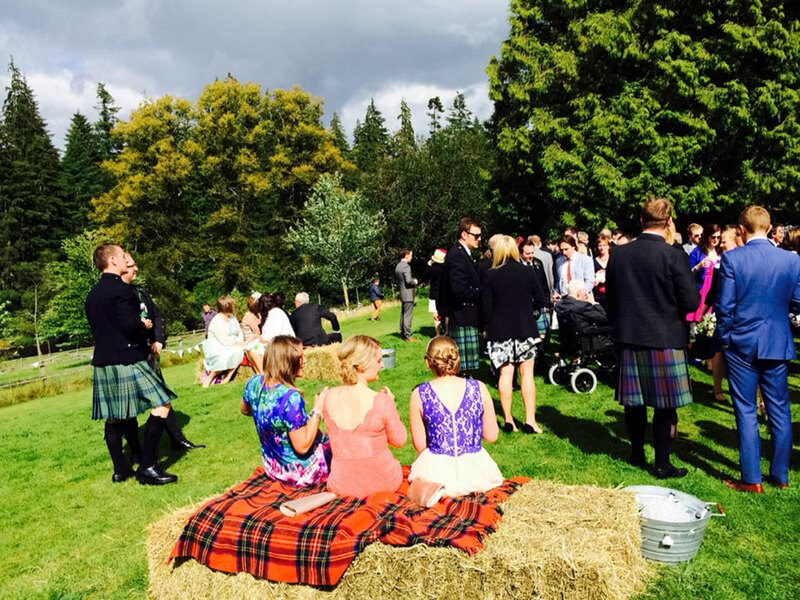 Birch Trees, straw bales and greenery available to assist in your decorations. Hire of Riverside Fishing hut for a small family gather or wedding. It seats 30 and has a wood burning stove , chairs and sofas. (ideal for chillout area or “Whisky Bar” as an addition to your day.